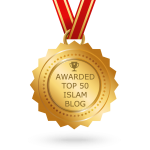 In this article, I will share with you My Journey to Islam. I hope it inspires and gives you a deeper insight into my background. I recall a happy childhood, each Sunday my mother would dress my brothers and younger sister in our Sunday best for the church. 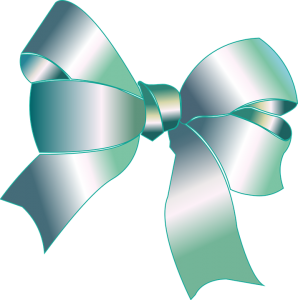 I would always have a bright coloured silky ribbon in my hair to match my dress. At church, I remember it being an upbeat affair very jolly with a loud preacher giving the gospel, loud music accompanied by tambourines and hymns. I was raised a Christian so God was in my life from the get-go. I am grateful to my parents for raising me with a strong religious foundation, to believe there is a God our creator. Over the years I had questions that started to play on my mind. Why were we here God? Growing up I always had a passion and respect for books. I loved reading and learning. I remember being up late most nights reading until the late hours. I loved the way words in a book had the ability to open my imagination and take me into different worlds. I soon realized the power of books and how much they could impact your life. My bedroom was surrounded by books. Each time I was given pocket money I would visit the second-hand bookshops and buy books on all types of subjects, I even purchased a Quran, it was written in English, although I did not realise what I had at the time, I kept it purely because of the love and respect I had for books and maybe one day I would get around to reading it. As well as my love for books I also grew up with a fascination for religion. I chose Religous Education as one of my subjects at school, it was the first time I experienced a glimpse of other religions and beliefs. 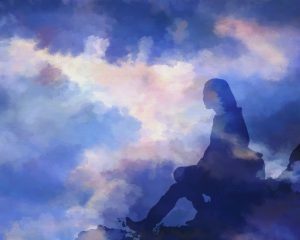 During my late twenties, I developed a stronger yearning to know who God was, and why were there so many different religions? I decided to do some research which led me to enrol with The Open University to study a BA Honors Arts & Humanities in Religous Studies. Hopefully, I would learn all about world religion and different cultures, maybe along the way, I would find all the answers I craved. I was so excited, but soon discovered I would have to complete a foundation year before I could touch on any religious subjects so I soon lost interest. My thirties were the most painful years of my life, somewhere along the way I became totally lost. Emotional pain is an inescapable part of life. I tried so hard to deal with trials and hardships that came in wave after wave. I was trying to deal with feelings of stress, anxiety, panic attacks. I was in an endless whirlpool of gloom and confusion, I completely lost my self and developed a love for alcohol, it became a comfort to me, something I would turn to when the emotional rollercoaster became too much. I found alcohol had the ability to numb out any emotional pain not realizing the consequences and the damage I was doing to myself. It was at this time that I also started to dabble in new age religions, I tried Buddhism and looked into tarot cards and fortune telling. At one point I actually believed I could tell the future. I got to the point where I had enough of my self-consuming destructive mindset. All my doom and gloom and self-pity, I wanted everything in my life to change yet I was not doing anything about it. One morning I woke up with a strong determination and took pen to paper. I decided to draw up a plan to change my life and stop all the negativity that was harmful and wrong. I wrote down all the major changes I wanted to make and listed the steps to achieve them. I remember feeling anxious and fearful. Sacrifices would have to be made. Will it work out for me? What if I make a worse mess? Let me ask God! maybe he will listen to me! I made the decision there and then to put my trust in God. I will make the changes no matter how fearful it may be. I found that once I made the first change everything else naturally happened. My career change was to work with vulnerable women. I became a volunteer for a well-known organization in Bristol that supports the homeless to find permeant accommodation. It was at this point that I came in touch with Muslim women who were either my work colleagues or seeking support. I received ongoing training and development, I also started studying and reading again with the focus to help others. Over the years I worked hard until I became the Deputy Manager. I was finally in a good place, happy but not content. It dawned on me one day that God had answered my prayers, everything I had asked for he had given me, the house, the career, new friends, I was truly grateful but there was still something missing. I felt spiritually unfulfilled. I was now in my forties. One evening at work I noticed a colleague reading a book, the idiot's guide to Judaism, this sparked a conversation about religion. I briefly scanned her book and researched online and found there were numerous books on the idiot's guide to different religions. I decided to purchase a book on a religion that I had not touched on before. I had a four-week vacation from work so I took that opportunity to relax and read. I was surprised by what I read, it was a real eye-opener. The book was full of thought-provoking questions which led me to investigate certain aspects of the religion such as why did Muslim women cover? I came across a particular image which made me really think and want to know more. I found myself searching for Islamic programs on the TV. I found nothing until I stumbled upon the Islam Channel. They had just started broadcasting, it was March 2004, back then, broadcasting was mainly adverts and a lot of Quran recitation. Every afternoon I watched a program which taught about Islam, the lecturer was Yasir Qhadi. It was a lot to take in but I began to learn. The four weeks passed, I was ready to go back to work and I was ready to be a Muslim. Once again, I felt scared, anxious and fearful, am I making the right decision? What will my family say? I remember calling myself stupid, what do you think you're doing? but I took comfort when I saw the thousands of Muslims on the TV that were circulating around the Kabba, I knew then I would not be alone. 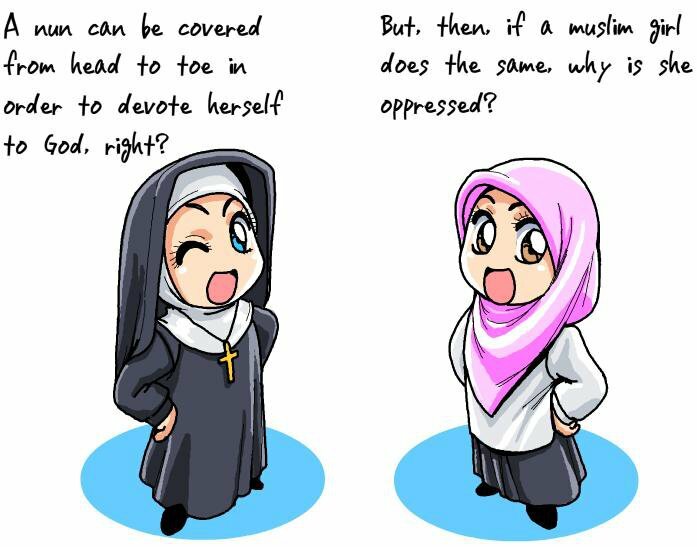 On the day I returned to work there were two Muslim women in the office working. I approached the one in Muslim attire. I told her I had been reading about her religion and would like to watch her pray. I am sure she was surprised and taken aback that her boss was asking such a personal request, but she did more than show me how to pray, she welcomed me into her home and introduced me to her family. They all embraced me with such warmth and began teaching me the Islamic way of life. In April 2004 approximately one month after reading The Complete Idiot's Guide To Understanding Isalm, I took the Shahada (to testify in the oneness of God and in Muhammad the final Prophet.) I was now a Muslim. My journey as a student of Quran had begun. One of the first things I craved after accepting Islam was to understand the Quran. My love for books and learning had returned with an immense thirst and focus to comprehend Islam. I researched online and found a free learning platform, Al Quran Wa Sunnah Online Islamic University. Their mission is to bring Muslims from around the world together and teach them the basics of Islam. During my period of study with this university, I collaborated with other students and co-wrote some of the student group presentations. In the Summer of 2006, I travelled to Leicester to volunteer at the Jimas International Da'wah Conference. There were well-known lecturers from around the globe who came each year to boost the faith of hundreds of Muslim men, women, and families. I met so many Muslims from all nationalities and cultures. I was welcomed by the Muslim community in Leicester, the women embraced me and recognized my thirst to learn Isam and encouraged me to move. I did not hesitate. I migrated to Leicester in 2006. I formed a great bond with my new friends who were now my sisters in Islam, we did lots of work within the local community, fundraising, social activities and events, offering support to the vulnerable while raising awareness of Islam. In 2009 we established the women's support group Sisters4Islam. My online Islamic studies continued. 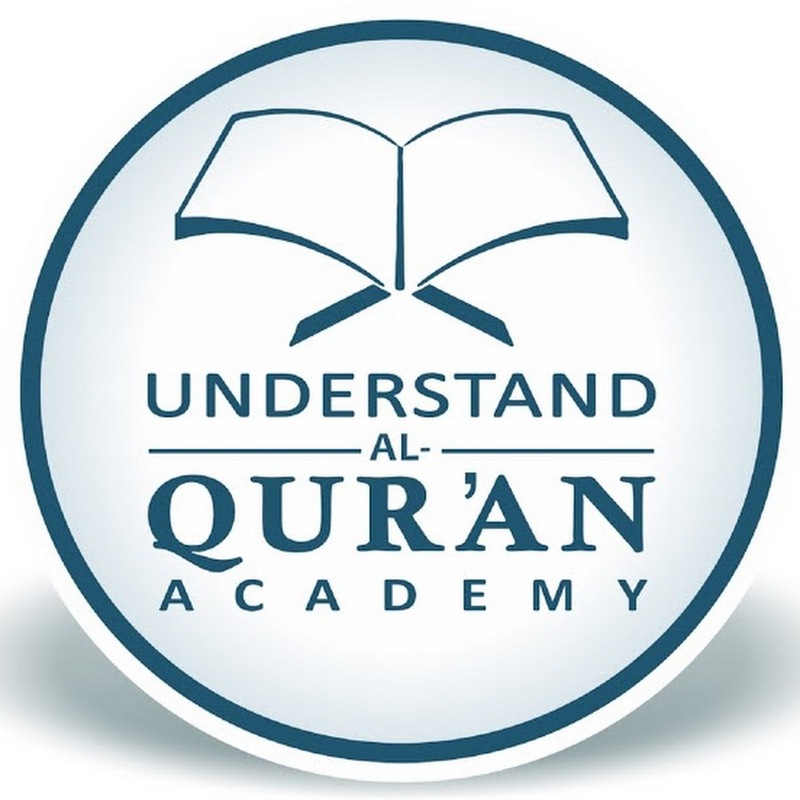 I wanted a more detailed study of the Qur’an so back In 2007 I enrolled in the Al Huda's Canada Campus and participated in the online live classes. In 2011, I enrolled with the IOU, Islamic Online University. 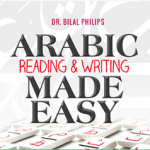 I took one subject, Arabic and Reading Made Easy by Dr Bilal Phillips, this course was available on their free website. I found the course simple and easy to follow and would recommend it especially for beginners. In 2014, I enrolled in their BA Degree Islamic Studies which is available on their main site for a reasonable fee. 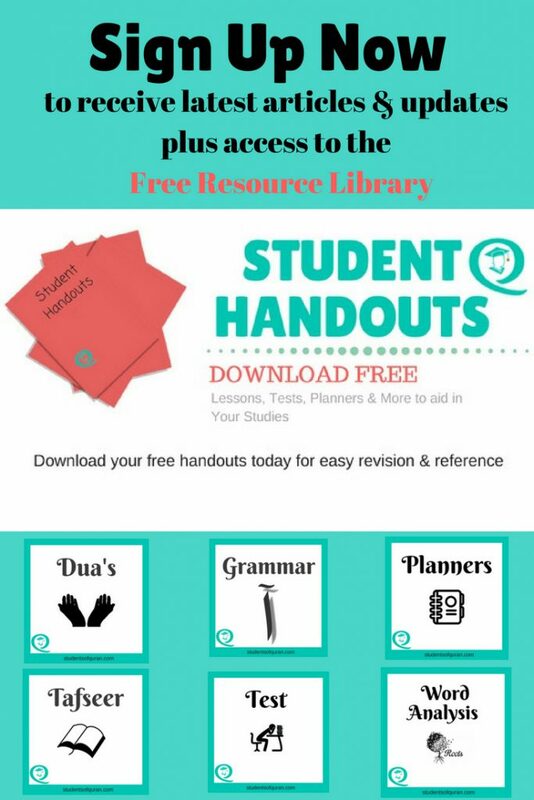 If your looking to study Modern Standard Arabic which will also broaden your vocabulary and learning of the Arabic language check out Path to Arabic they have a FREE Engage course available. My purpose in life is to worship Allah alone with no partners. In order to worship him in the correct way, we first need to understand what is required of us. We need to learn the religion as it was taught to the Prophet Muhammed (pbuh) and his Companions. 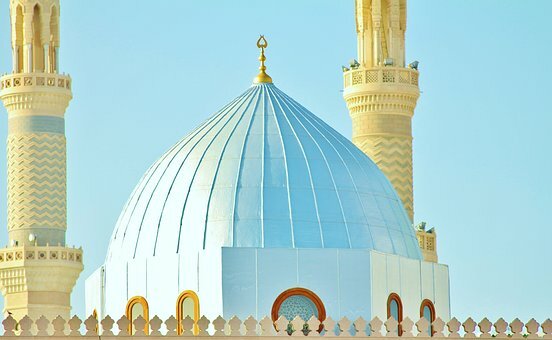 It is important that we learn from the Quran and the Authentic Hadiths of the Prophet as they both go hand in hand, you cannot have one without the other. I would like to share with you some of the personal lessons I have learned on My Journey to Islam. Develop a relationship with books, it will broaden your mind. If you have children encourage them to read. Reading expands the mind and helps to develop language skills. Build up a library of books on different genres, reading is food for the brain. We live in a digital world now where books can be downloaded on the go, this is very convenient, but I personally love to physically touch and turn pages in a book. Be open to learning different religions and cultures, be respectful of different beliefs. Be open-minded and not ignorant of peoples differences. We live in a multicultural society so instead of shunning differences, welcome it, you will be surprised. Investigate the truth for yourself, I believed for years the stigma and stereotypes the media portray, it causes so much discrimination and negativity. Learn the difference between Islam and culture. When I embraced Islam I was confused with certain practices which turned out to be cultural beliefs or tradition such as praying to the dead at graveyards. There are a lot of Muslims who practice tradition and culture not realizing it is nothing to do with Islam. If it was not practised by the Prophet (pbuh) it has nothing to do with Islam. Helping others. There is always someone in a worse situation than you. I learned that by assisting others helped draw me out of my self-pity. I learned to be grateful to Allah for what blessings he had given me. Whether you are Muslim or non-Muslim. If you need help or guidance Allah will listen to you, be sincere and seek his guidance. Allah says in the Quran, in Surah Al Naas, All Mankind. Allah guides everybody, he has opened the way for everyone to get the knowledge but it is for you to take action and safeguard yourself. I do hope my journey has been of benefit. 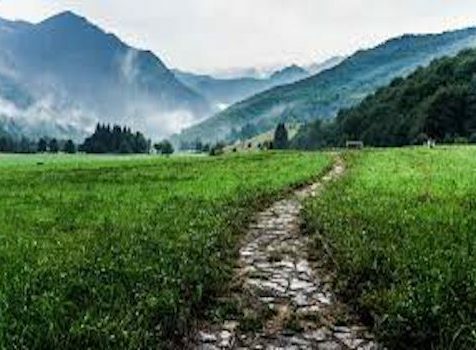 If you would like to share your journey with Islam, whether you are a convert or born into Islam, the journey back to Allah is always inspiring. I would love to hear from you. The journey of your life in Islam is so inspiring and effective, I have a longing to read more about Islam and know what is really wants us to know. May Allah SWT bless you with great bounty and make you among the one! Aameen!!! This is a very inciteful read. I have always wanted to understand the beliefs of Muslims. Being a Black American at the age of fifty + and even before my fifties, I realized this country is built on false truths that are pounded down our throats daily. And having my culture stolen away from me left me in a lost state of mind when it comes to religion. I know some history. Enough to no that Muslims carry on a tradition that was founded before America was even created. Praise be to God. Thank you for your comments. If you would like to know more about Islam, may I suggest you read The Complete Idiot’s Guide to Understanding Islam It’s the first book I read when I was researching the religion. I found the book easy to read and understand and a real eye-opener. It’s good to educate and investigate for yourself rather than rely on hearsay or the media which I did for many years. When I converted, I too had the same feelings as you. What will my family say? Will, I be accepted? These fears are natural. You would not have to travel to a foreign land, every Muslim becomes your brother in Islam. May God guide you and bless you and your family. Great article!!!! very informative, sometimes people have a different idea about religions and I think this post might change there way of seeing it. alhamdulillah.thanks to my sister from a traditional muslim.may I request you to study tafheemul quran by syed abul aala maududi.